The payer landscape is evolving. Defining who the payer is, key drivers underpinning their needs and how they make their decisions has never been more critical. In an ever-changing healthcare environment, the need to prove value for money remains a key focus for payers and reimbursement decision makers. Simultaneously, over the last decade we have seen complex interactive networks of local, regional and national payers emerge and grow in power. We take a holistic approach to developing and communicating value to payers. As experts in value and with in-depth knowledge of your stakeholders, we understand the global market access environment and have the skills and knowledge of what is important to different payers. We have an expert team who can partner with you to navigate the complex and evolving payer, pricing and reimbursement landscape to optimise access and commercialisation through mapping the payer landscape, understanding value drivers and evidence requirements by payer archetype to inform your payer and market access strategy. 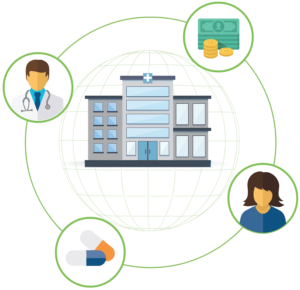 The Adelphi Values and Access team have an extensive, global network of relationships with payers and expert pricing and reimbursement consultants through which we can access payers at national, regional or local levels as the needs of an assignment dictate. Using a range of very well-established qualitative, semi-structured and quantitative methodologies, the relevant payer perspectives are gained in an effective and sympathetic way.